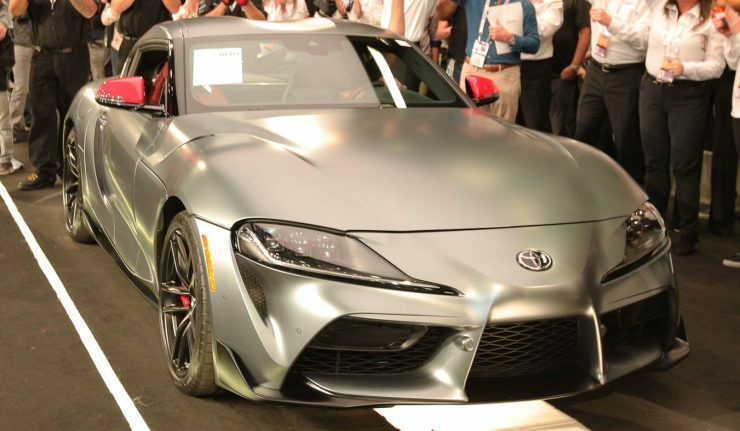 HomeNewsThe first production 2020 Toyota Supra was auctioned off for RM8.6 million! 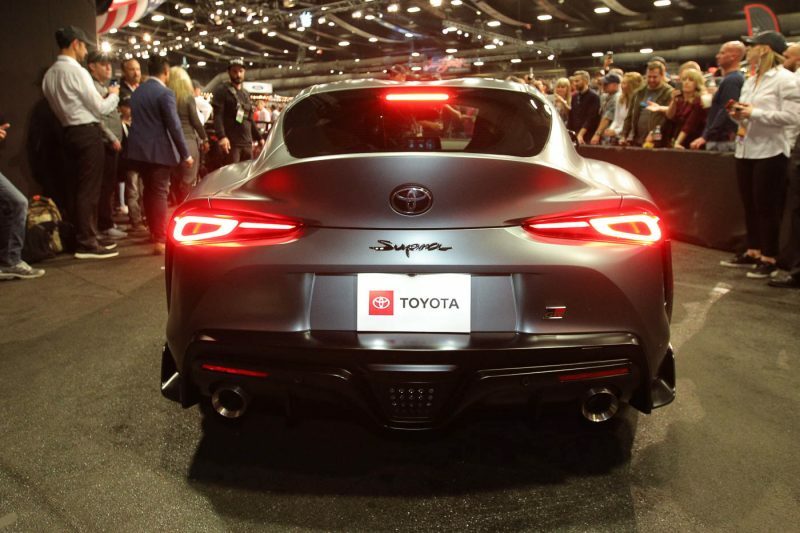 The first production 2020 Toyota Supra was auctioned off for RM8.6 million! 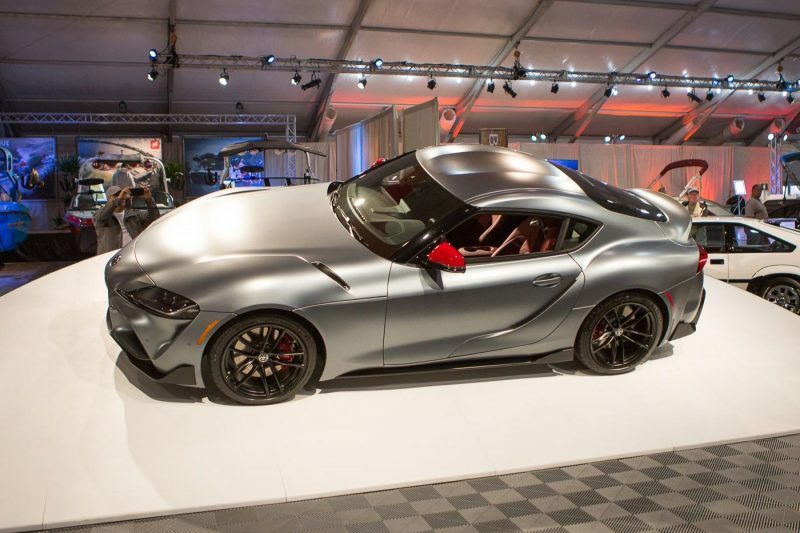 Despite divided opinions on how the new 5th-generation Toyota GR Supra looked (at least), the first production 2020 model dubbed the “Global #1”, to roll off the assembly line fetched a whopping USD2.1 million at a recent charity auction to support the American Heart Association in the United States. A build unlike any other Supra or vehicle in the world, “Global #1” is stamped with the only VIN (or rather chassis) number that will end in 20201 – with “2020” representing the year the Supra was reintroduced to the world and “1” marking it as the first vehicle to roll off the production line. 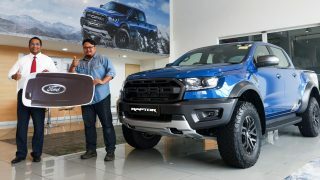 The exterior comes factory-finished with a matte gray exterior, red mirror caps and matte black wheels; just like the “Launch Edition” model. Inside, the Supra is just as unique, with a red interior and carbon-fibre inserts representing the first of the launch edition for the U.S. market. The sale of the Supra not only supports the nation’s oldest and largest voluntary organisation dedicated to fighting heart disease and stroke but the Bob Woodruff Foundation (BWF), which benefits post-9/11 veterans and their affected families. The winning bidder also received a full VIP race track experience that includes a fully customised professional racing suit. If you’ve not heard how the new Supra sounds like, check it out here!